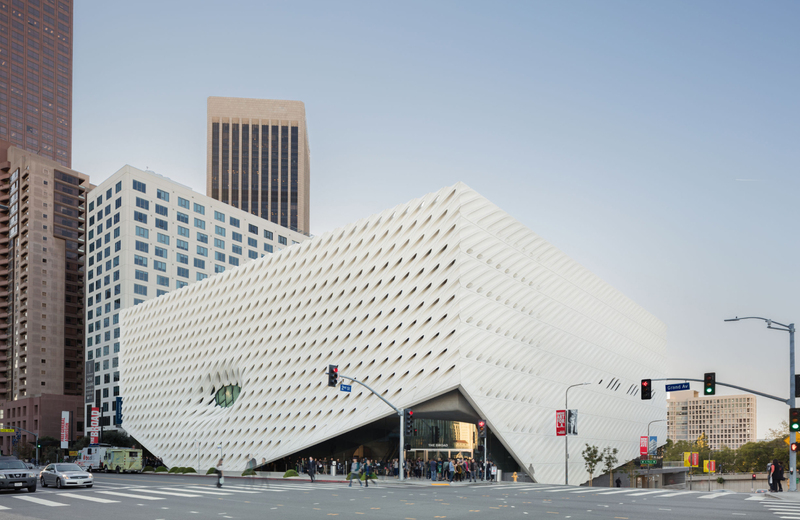 The new 2-story Broad Museum, which will house 2,000 works of art from the personal collection of Eli and Edythe Broad, will open its doors to the public on September 20, 2015. The property will also include an additional 20,000 square-foot public plaza – bringing much needed green space to downtown! The stylish structure sits adjacent to the famed Walt Disney Concert Hall, that wild and wavy Frank Gehry-designed landmark. With the elegant and classy Eighth & Grand quickly going up just a few blocks south, Grand Avenue is shaping up to be the premier architectural strip in the city. Culture vultures are bound to flock from far and wide. Lucky for us, it’s right in our ‘hood. So who’s your favorite contemporary artiste?